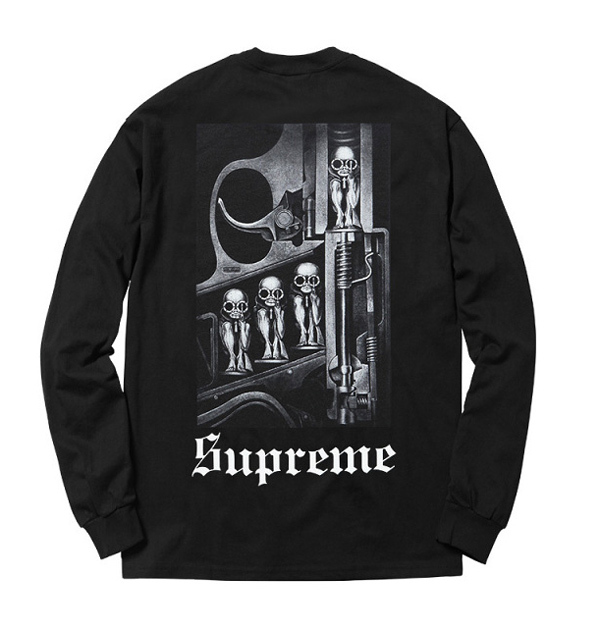 Supreme is known to slap a label onto just about anything. Now they’ve teamed up with the estate of the late artist/satanist H.R. 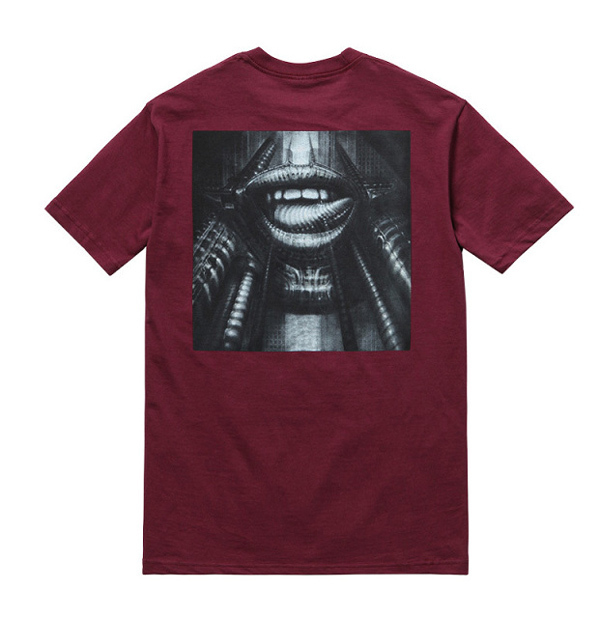 Giger for a winter-aimed streetwear capsule collaboration. 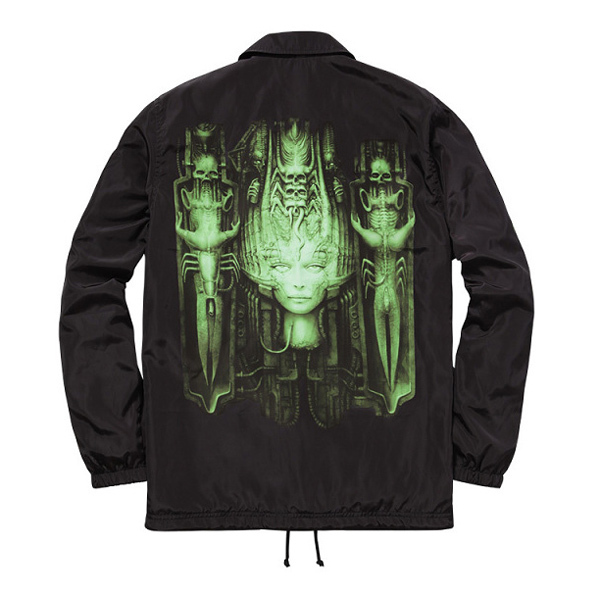 With Giger’s death this May just past, it is unsurprising that his art is finding new places for display — like on t-shirts, jackets and more. For with his departure goes the great surreal mind responsible for the Necronomicon, the Alien monster, and all the mechano-futuro-humanist imagery that went on to influence sci-fi, cyborg fiction and steampunk movements in the years that followed — not to mention the decorum and fashion sense of anti-social goth-holes everywhere. 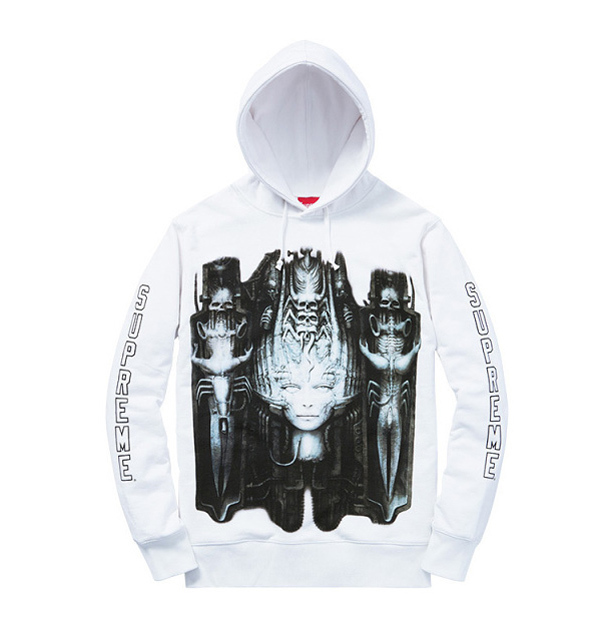 In honor of the artist, and the revenue that his memory will muster, Supreme has now released a complete line of Supreme Giger gear. 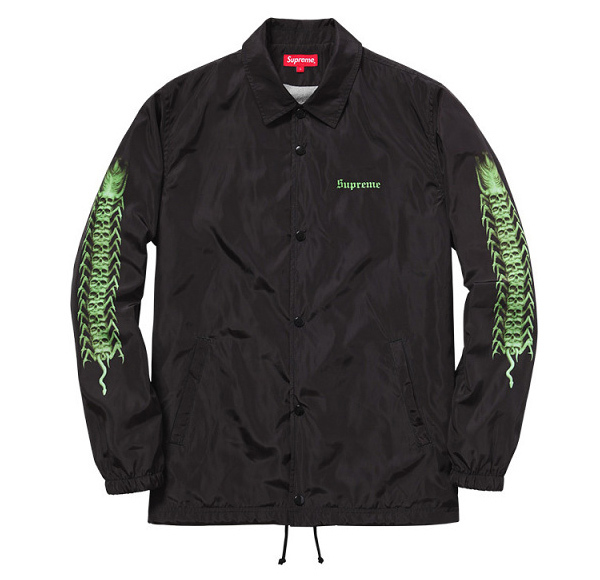 The line is to include a coach’s jacket (shown above), skateboard decks, a hoodie, knitted top and several t-shirts. Available in Los Angeles, New York and online come October 9th, and in Japan on the 11th.